Good Deeds and Doctor. 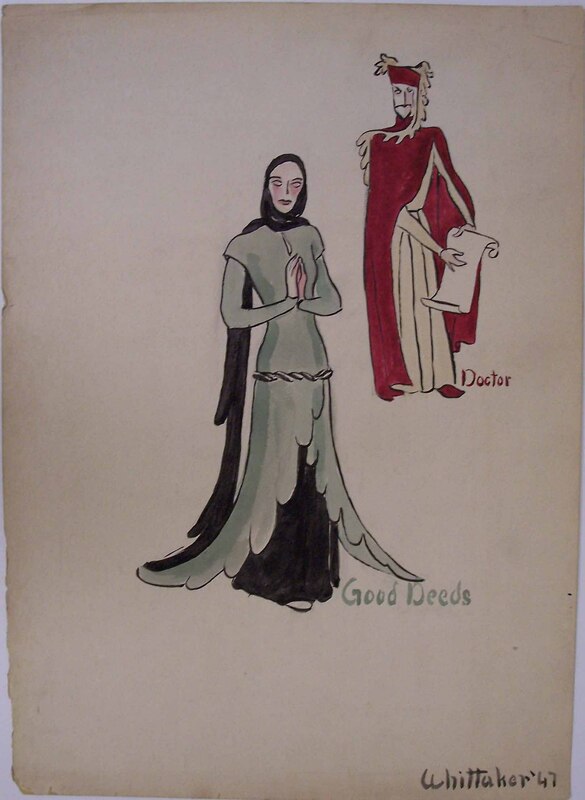 Good Deeds is a female character with clasped hands in green dress and braided belt. Doctor is a male character gesturing to a scroll in red cloak with cap, and gold brocade.